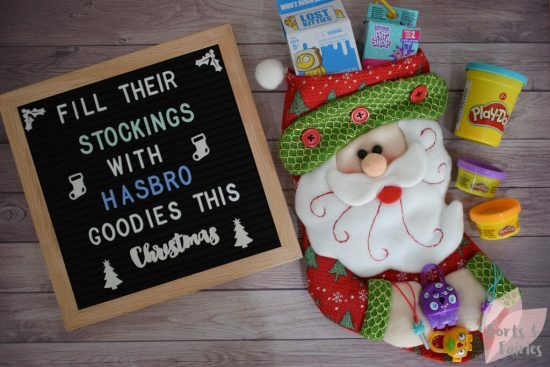 Fill their stockings with Hasbro goodies this Christmas! One of the highlights of Christmas morning for me is watching my children discover their stockings have been filled by Father Christmas overnight. We always leave a glass of milk and some biscuits for him before the kiddies go to bed…and mom always enjoys a light snack on Christmas Eve as she packs the stockings once they are asleep. Someone has to do it, right? I absolutely adore finding great stocking fillers for my children. I have so much fun finding great little items that I know they will enjoy, even though I know the big jolly man in red is going to get the credit! Now thanks to Hasbro you won’t have to search very far to find awesome stocking fillers for Christmas this year. We are fast becoming a Nerf or nothing house, and I can just imagine Amy and Ethan roaring around the house on Christmas morning after they discover the new Nerf Microshots Series Blasters in their stockings. These mini-sized versions of your favourite Nerf blasters fire one dart at a time and come with two Elite darts. You may want to pop one into Dad’s Christmas stocking too to even the playing fields! Play-Doh is always a winner with my two kids, we spend many afternoons having fun coming up with wild and whacky creations and if Amy ever aces her Master Chef audition I’m going to give full credit to Play-Doh Kitchen Creations! Even though I don’t mind them mixing the colours, there’s still something cool about opening a new can of Play-Doh with a fresh new colour…a world of possibility in one can and the perfect size to pop into a stocking too. We’re still flying high on our love for My Little Pony, you’ll often find us braiding the ponies’ hair or shaking our tails during musical gigs in the lounge. I know Amy would love to have one of the My Little Pony Cutie Mark Crew hiding inside her stocking. These new blind bags combine the worlds of My Little Pony and Equestria Girls, and each include a figure, a cafeteria themed snack accessory, collector card and stackable case. Perfect for her to pop into her bag when she goes to visit a friend over the holidays! And did I mention they were collectable? Speaking of collectables, the new Hasbro Collectables range is also a great choice to fill those stockings this year. You can choose from the stylish Lock Stars, adorable Lost Kitties or the cute Littlest Pet Shop characters. There will be so much excitement on Christmas morning to see exactly who is hiding inside! All these Hasbro products are available from toy stores and online retailers including Toys R Us, Toy Kingdom, Toy Zone, Toy Adventures, Lilliputs Toys, Hamleys, Checkers and Checkers Hypers, Game, Makro and Takealot. 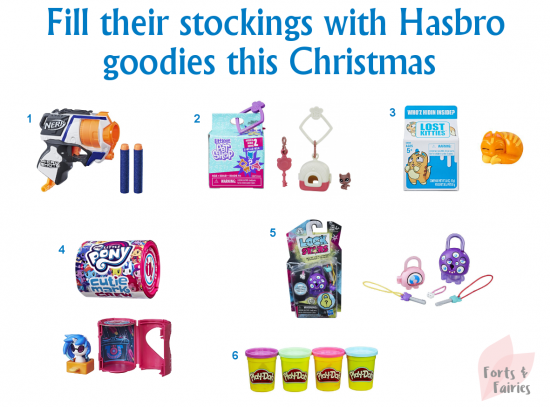 Which is your favourite and what will you be filling your children’s stockings with this Christmas?